When black-hearted Mother Nature cursed France with a devastating late-April frost in 2016, she twisted her knife by maximising the inequality of its distribution across wine regions. For starters, she decided Bordeaux would get off scot-free while she punished Burgundy et al. Within the Côte d’Or she spared Morey-Saint-Denis but threw Chambolle-Musigny to the dogs. She hammered Echézeaux and Grands-Echézeaux but pardoned Romanée-Conti and Richebourg. Even within individual climats, Jack Frost ran riot in certain sections but not others – for example, laying waste to the Chassagne but not the Puligny half of Montrachet, where Domaine de la Romanée-Conti’s parcel fell victim. Mother Nature revelled in the frost’s irrational dispersal, leaving growers who thought they had seen it all bewildered that one vineyard previously thought impervious to frost was ruined, while more exposed vineyards were left untouched. Furthermore, she had no qualms about who was affected, being indifferent to status or value of wines. As a consequence, Domaine de la Romanée-Conti was denied its own Montrachet and made do with negligible quantities of Echézeaux and Grands-Echézeaux, a salient reminder that everyone is at the mercy of Nature. So, as expected, this year’s annual tasting of the latest bottled vintage at UK agent Corney & Barrow was two bottles shorter than usual, since the Montrachet is never shown. The domaine eked out some fruit from Echézeaux and Grands-Echézeaux, but the figures tell you everything you need to know. Cropped at 6hL/ha, there are just 980 magnums of 2016 Echézeaux and, cropped at 7hL/ha, just 710 magnums of the 2016 Grands Echézeaux. “I miss them,” Bertrand de Villaine confessed. “There is a gap between the Corton and the Romanée-Saint-Vivant.” I understood exactly what he meant. Tasting the complete portfolio is like jumping from one stepping stone to the next across the stream: Corton, Echézeaux, Grands Echézeaux, Romanée-Saint-Vivant, Richebourg, La Tâche and finally Romanée-Conti, when everyone lets out a silent cheer. This year, you had to leap from Corton to Romanée-Saint-Vivant, and the family of wines did feel incomplete. Bertrand told me that the Grands Echézeaux had tasted spectacularly from barrel, though as yet, no magnums have been cracked open to see the finished result. I enquired what their intentions are for these 1,690 magnums. At the moment, the domaine is considering options, but they are certainly not going to be released contemporaneously with the other five Grand Crus. My guess is that we will see a late release when the wines are ready. Of course, there is the multi-domaine blend of 2016 Montrachet raised at Domaine Leflaive, though I have not read of any concrete plans for its distribution. I spoke to both Bertrand and Aubert de Villaine about their impression of the 2016s now that they are in bottle. Bertrand told me that he is surprised how approachable they are and admires their adherence to type; an unexpected quintessential vintage given it was born in such an abnormal season. Aubert was also effusive, admiring the wines’ purity and freshness. “The first six months was so hard,” he told me. “It is difficult to imagine that when tasting the wines today.” It is worth reminding ourselves of those traumatic six months: 516mm of rain between January and May, 35 mildew attacks to keep chef de culture Nicolas Jacob awake at night and cancelling plans for the weekend, not to mention the three devastating days of frost. Flowering was uneven between June 9 and 25; however, their luck turned when glorious weather arrived in July and extended all the way to harvest, save for brief showers on August 15. Picking commenced on September 22 in Corton and finished on September 29, salvaging Echézeaux and Grands Echézeaux. 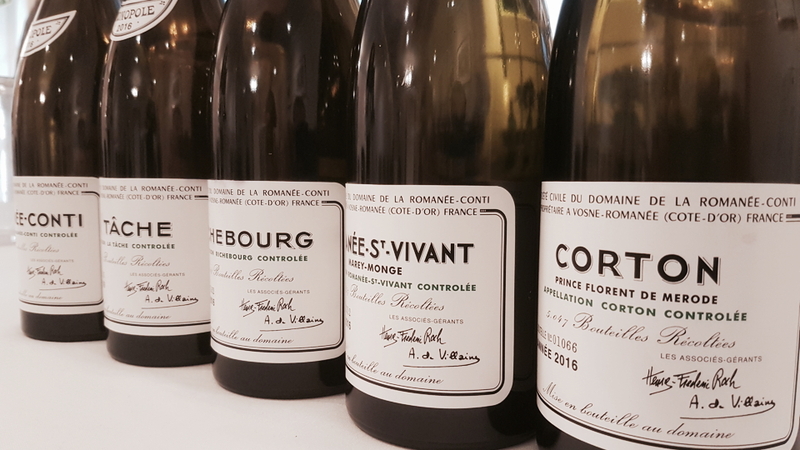 One piece of good news is that the benevolent latter part of the season meant that yields in Romanée-Conti, La Tâche and Corton are normal, and just a little lower in Richebourg and Romanée-Saint-Vivant (figures included in tasting notes). Bertrand de Villaine told me that this year they used around 70% whole bunches, since they only tend to use 100% in sunnier vintages, such as 2009 and 2015, and never when there is millerandage. The wines were bottled at various dates in accordance with the lunar calendar in spring 2018, some cuvées in two stages. For example, La Tâche was bottled April 20–25 and then May 25–28, and the Corton, with quite a disparity, on February 27 and then May 31. The title of this piece, The Picardy Third, relates to a musical term for a song composed in a minor key but finishing on a major third in order to leave the listener with a sense of optimism and resolution. Listen to the final chords that finish the choruses of The Beatles’ “And I Love Her” or, even better, Roberta Flack’s “Killing Me Softly.” It is an apt analogy. Like many winemakers, Aubert and Bertrand de Villaine only heard ominous minor chords during the tumultuous first six months of the season, and yet the final wines are all peace and tranquillity. In retrospect, they had to endure these “minor chords” in order to experience the emotional uplift as the key suddenly shifted to major at the last moment. 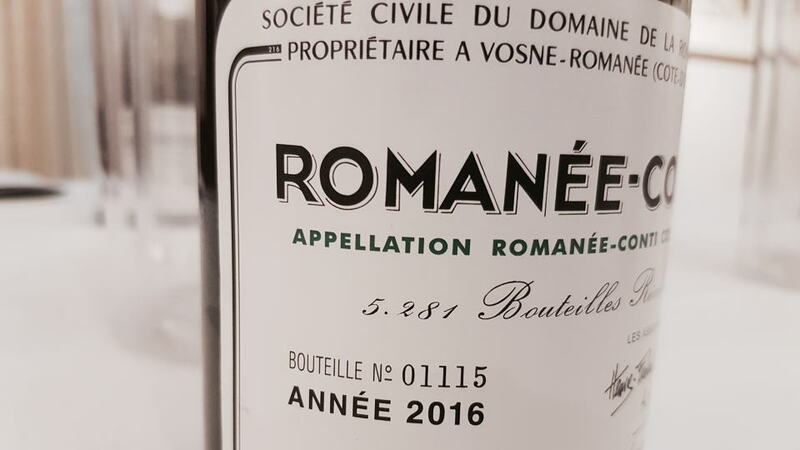 The two crus that stand out at the moment are a celestial 2016 Romanée-Saint-Vivant that delivers everything you could desire from this vineyard and more: floral aromatics, purity of fruit, satin-like texture and rondeur on the finish. It is a perfectly formed Romanée-Saint-Vivant, as good as any that I have tasted from the domaine at this early juncture. The other is the 2016 La Tâche, which similarly brushes off the trauma of the growing season with a regal and noble showing, multi-faceted and complete. It is as if all sections of this large monopole contributed to a wine that is more than the sum of its parts. The 2016 Corton Grand Cru showed well, although I must admit that the Romanée-Saint-Vivant cast it in a more unfavourable light than it probably deserved. Here, I was just anticipating a little more substance towards the final third; it’s a bit like an actor who puts in a great performance and then fluffs his final lines. It might be just a phase it is going through. The most paradoxically perplexing but engrossing wine is the 2016 Richebourg. Whereas the Romanée-Saint-Vivant conveys harmony, the Richebourg is a distinctly more challenging proposition. Initially I felt that the stem addition here was not quite as subsumed as in the Romanée-Saint-Vivant, and though that trait gradually ebbed away with aeration, it popped up again on the palate. I can abide this stem-like tincture in a wine’s youth because so often it integrates at a later stage of evolution, mutating into intriguing and unexpected aromas and flavours. But sometimes stemminess never quite disappears, as I found recently with a bottle of 1985 Grands Echézeaux. I guess you have the choice of playing safe with the Romanée-Saint-Vivant or taking a chance with the Richebourg, whose long-term rewards might be greater. Finally, we must broach the 2016 Romanée-Conti. As usual, it is more discreet than the La Tâche, to the point where I sometimes think it ought to be served before. However, as I discovered at a dinner last year (see below) and as Bertrand de Villaine reminded me, it takes a few years for Romanée-Conti to reveal its hidden depth and amplitude. It’s just a shame that by that point, its value is so stratospheric that it seems foolish to do what it’s made for: drinking. It renders Romanée-Conti a king that reigns by reputation and monetary worth instead of its own intrinsic qualities. Within my limited experience, the 2016 Romanée-Conti is certainly up there with the greats, utterly harmonious and with bewitching delineation. Whilst not as multi-faceted as La Tâche at this point, I have no doubt that it will unveil hidden aromas and flavours with time. Will I ever get a chance to experience those first-hand? I’ll keep my fingers crossed. You don’t need me to tell you that the release prices are academic since demand outstrips supply by multiples. 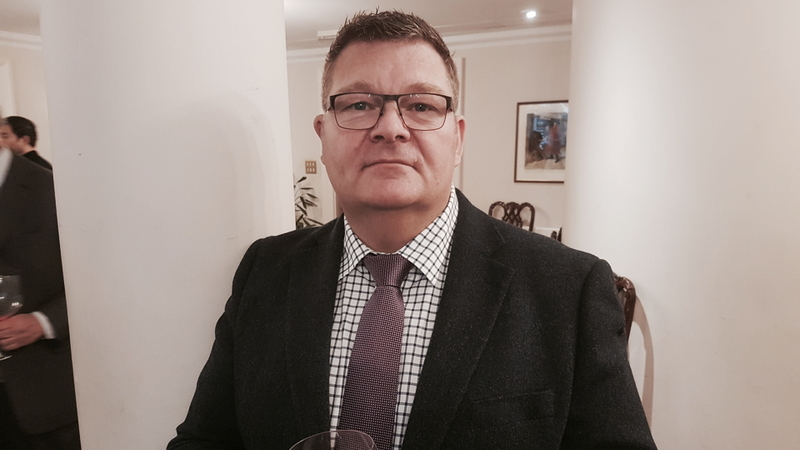 I remain objective with each new release, instead of going overboard with superlatives, and treat it no differently than one from any other domaine. With this in mind, readers can expect more analysis of Domaine de la Romanée-Conti’s wines, including a more technical examination of Richebourg and Romanée-Saint-Vivant vis-à-vis another grower, a never-to-be repeated vertical of Romanée-Conti and an eclectic array of tasting notes courtesy of more than 20 mature bottles back to the 1940s.